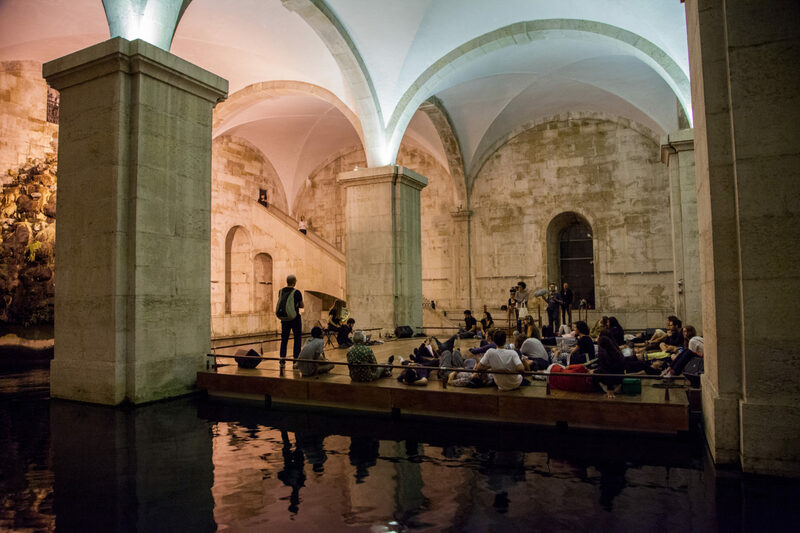 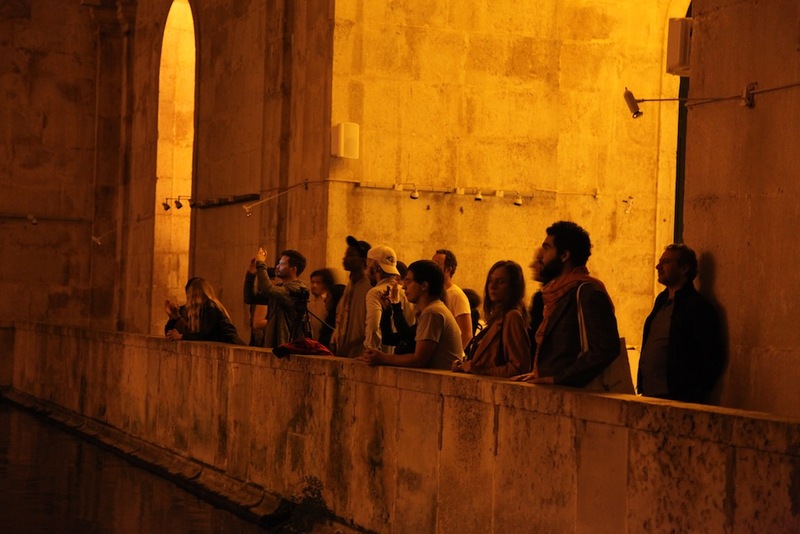 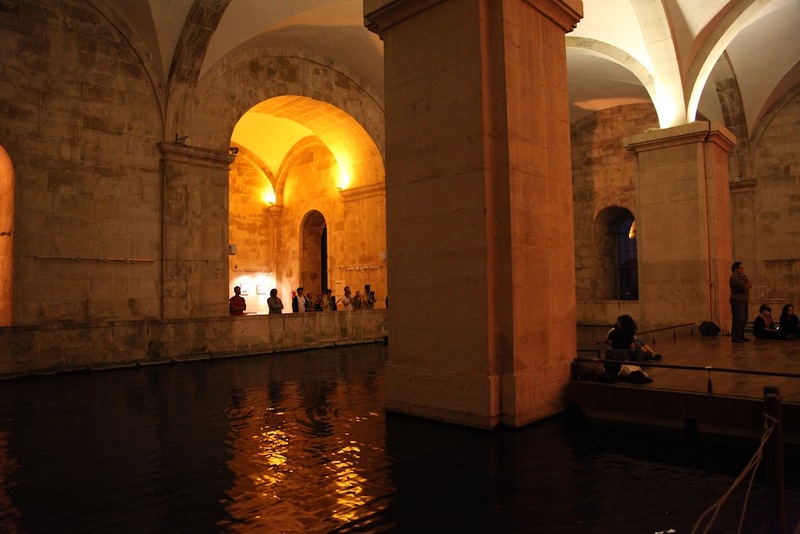 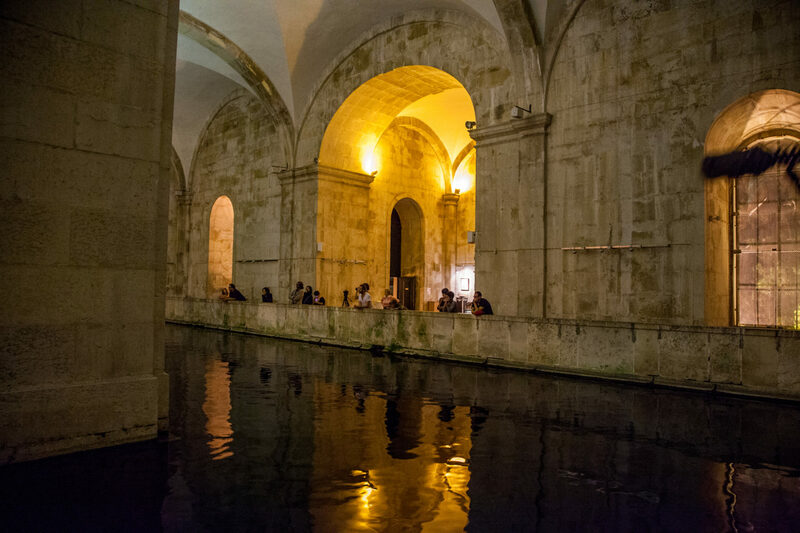 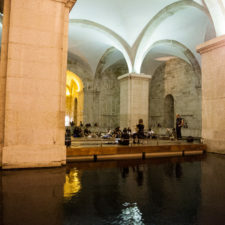 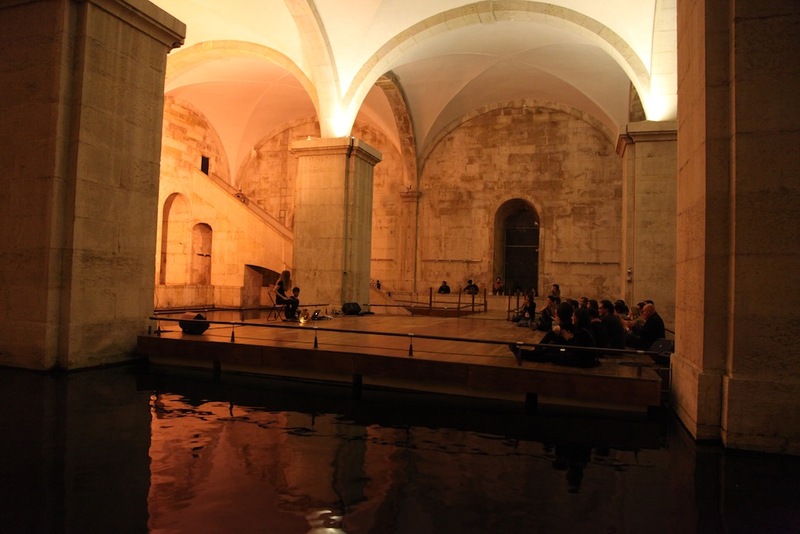 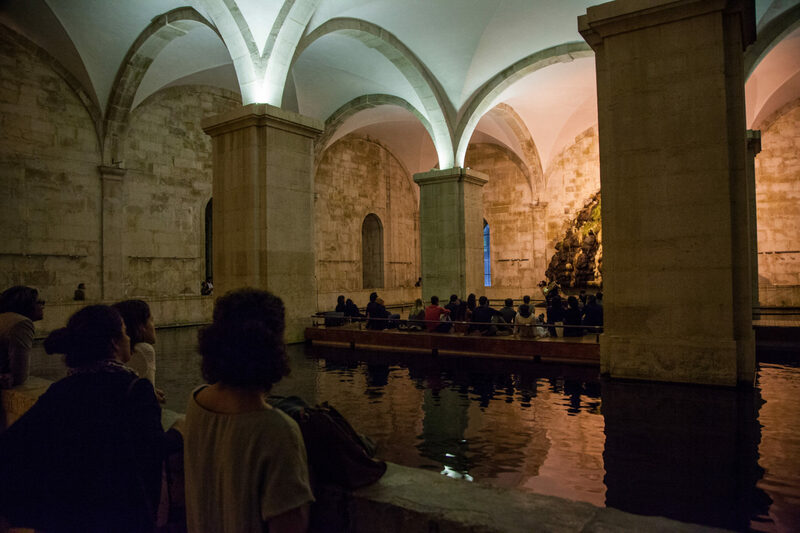 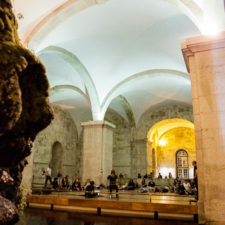 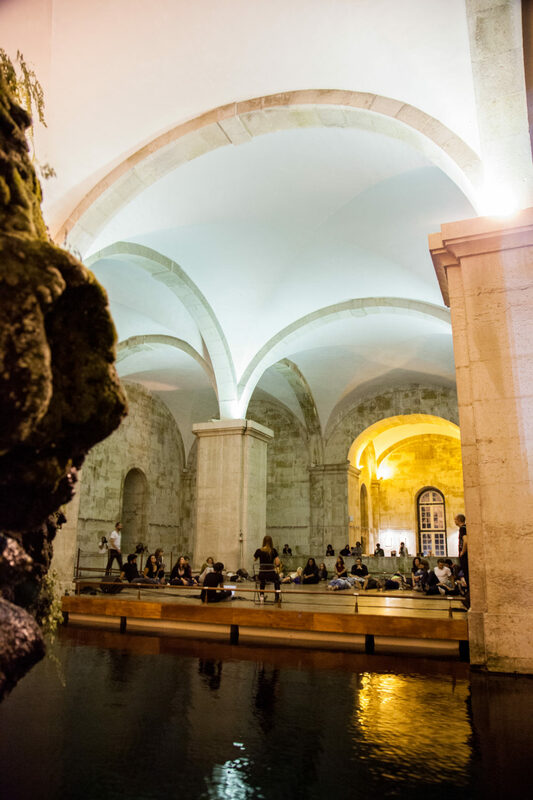 The Mãe D’Água (translated “Mother of the Water”) was built in 1746 to provide the city with drinking water. 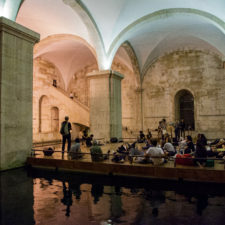 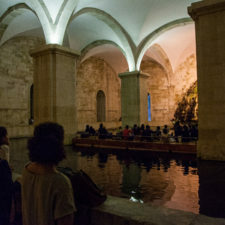 Currently, the reservoir is a water museum and is often used for art exhibitions. 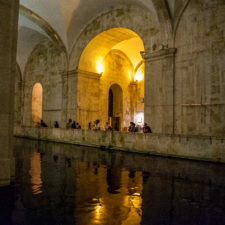 The interior space is composed of marble and stone. 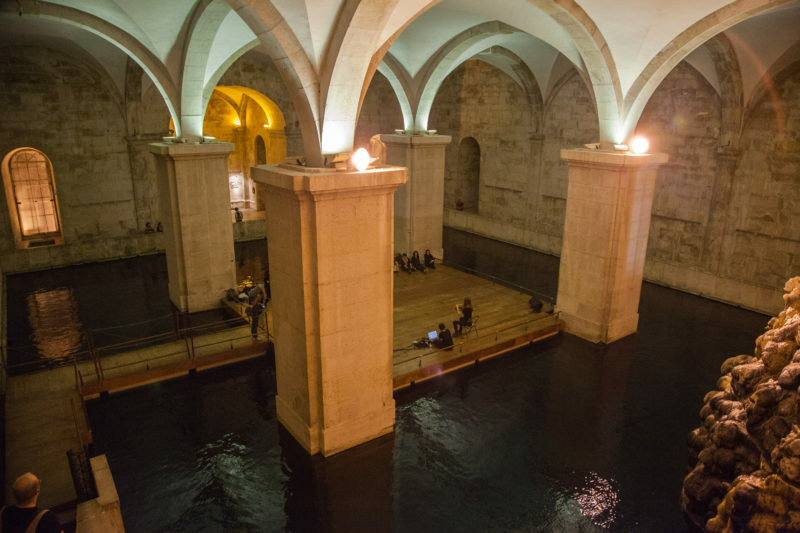 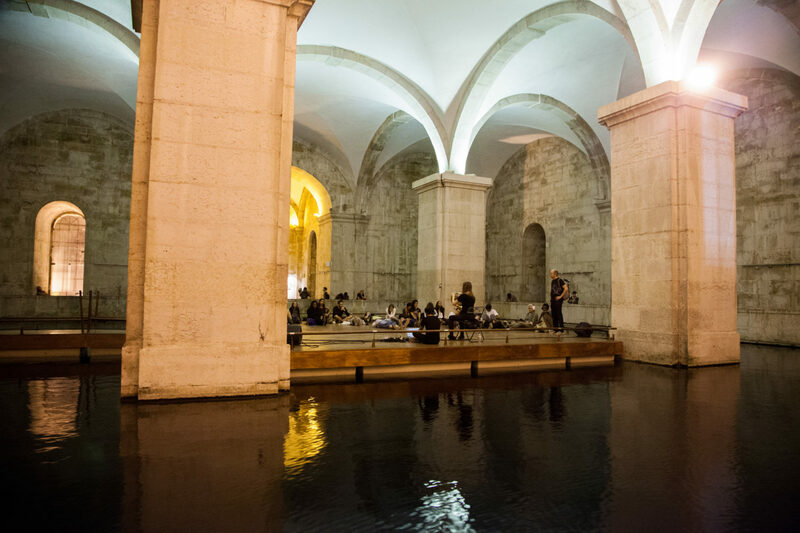 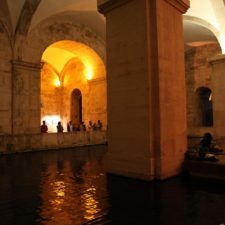 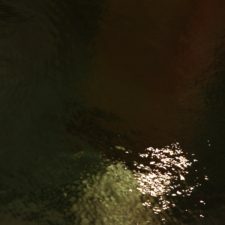 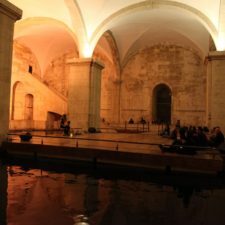 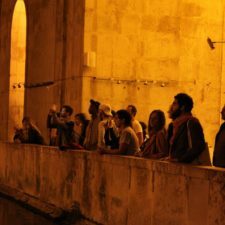 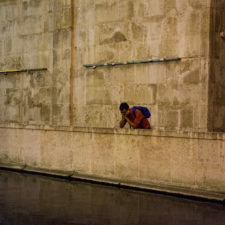 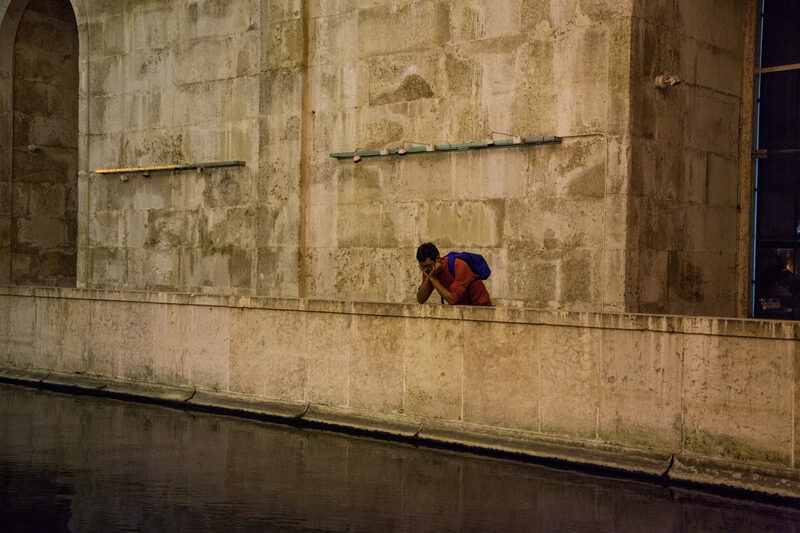 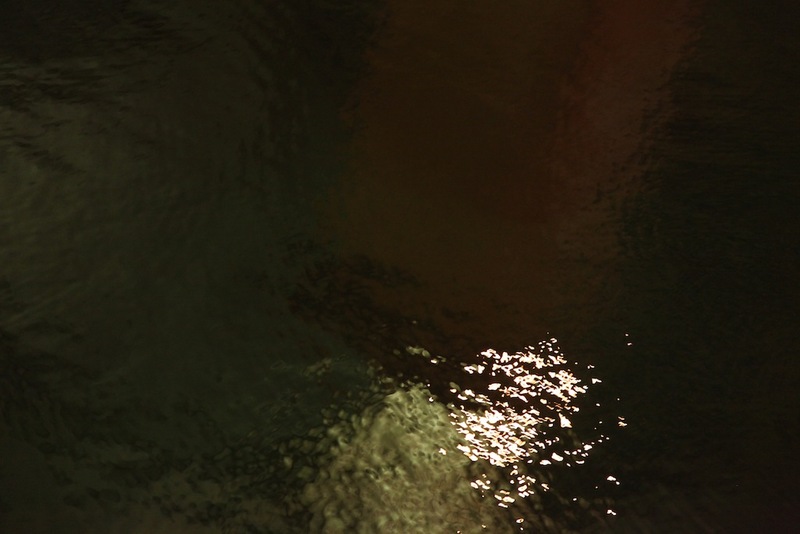 Water trickles down an ancient fountain into the aqueduct, it’s rhythmic sounds are lost in the space’s 10-second reverberation. 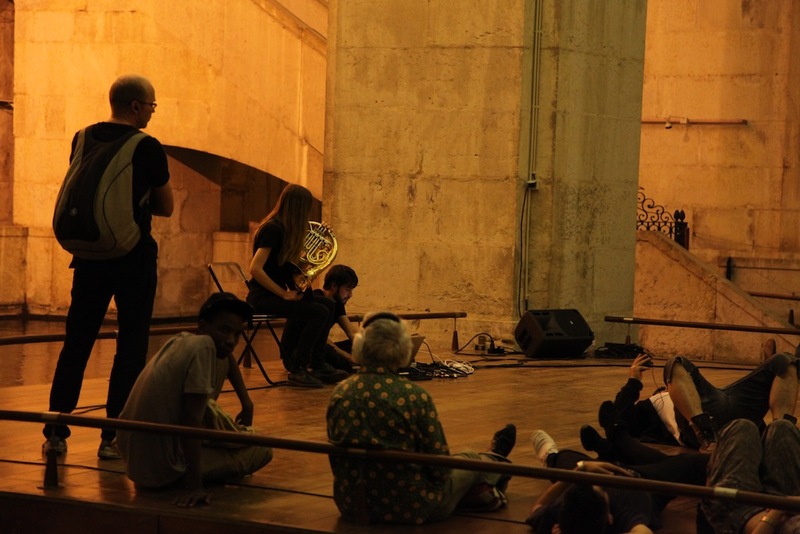 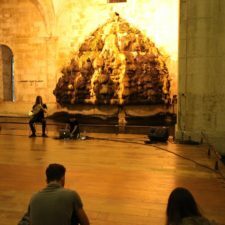 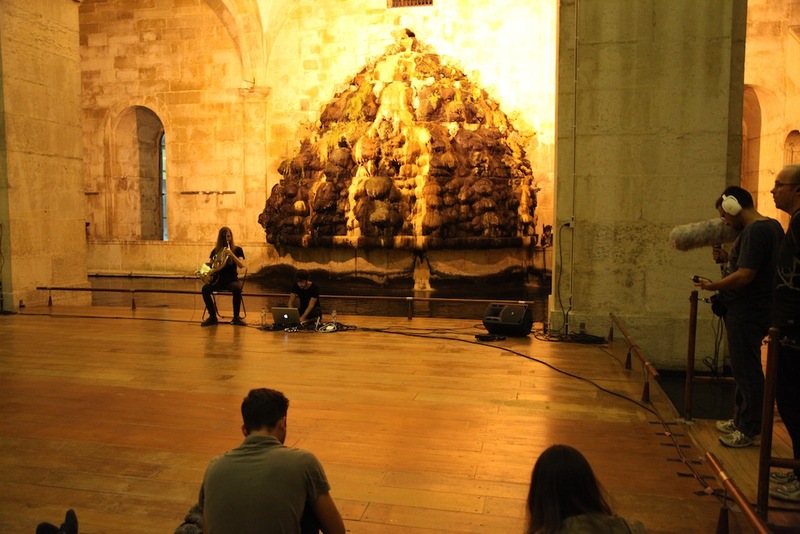 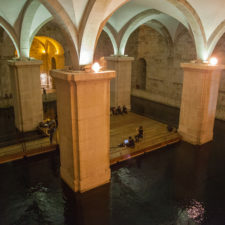 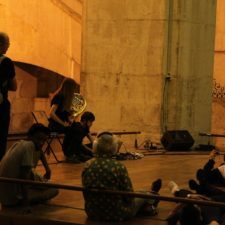 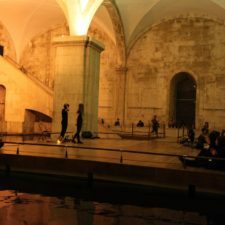 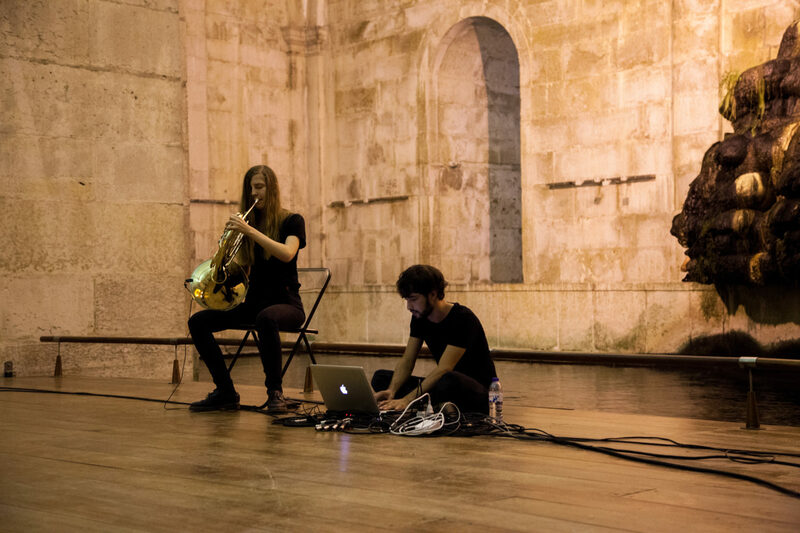 The piece combined horn, on-site field recordings and live electronics amplified through four PA speakers placed in a circle near the center of the space. 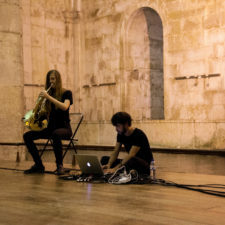 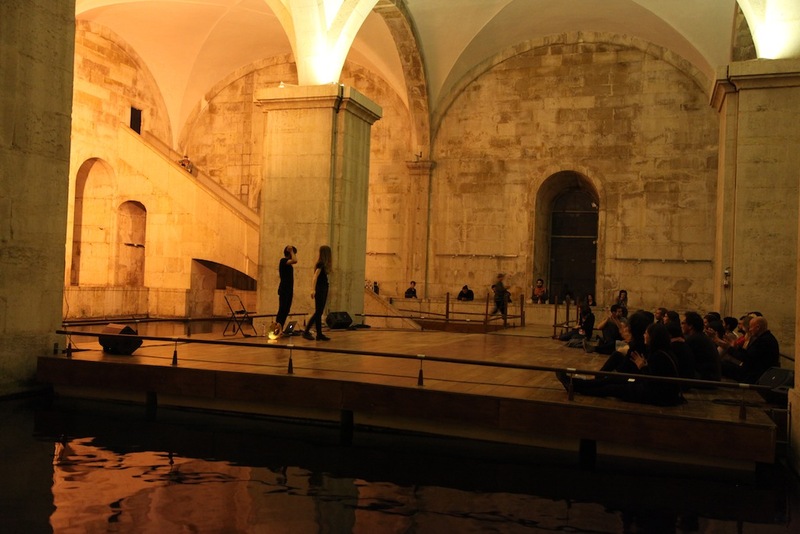 As the performance progressed, the musical composition merged with the inherent soundscape and resonant acoustics, creating an immersive and physical experience of sound and space.